Apple seems to be standing on the shoulder of its developers as it releases updates to the gadgets and softwares, quite frequently. 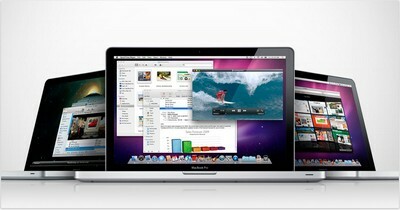 Apple just made an update with the release toits new desktop operating system, Mac OS X 10.6.5. Numerous improvements as well as bug fixes is what basically the update brings in but as users waited and believed that Apple would enable the AirPrint option, they would be sad to hear as no AirPrint Wireless Printer Sharing was made available. Mac OS X is tagged as one of the world’s most advanced operating system ever developed. The OS is better, faster and easier while it adopts next generation technologies. 1. Improves reliability with Microsoft Exchange servers. 2. Addresses performance of some image-processing operations in iPhoto and Aperture. 3. Addresses stability and performance of graphics applications and games. 4. Resolves a delay between print jobs. 5. Addresses a printing issue for some HP printers connected to an AirPort Extreme. 6. Resolves an issue when dragging contacts from Address Book to iCal. 7. Addresses an issue in which dragging an item from a stack causes the Dock to not automatically hide. 8. Resolves an issue in which Wikipedia information may not display correctly in Dictionary. 9. Improves performance of MainStage on certain Macs. 10. Resolves spacing issues with OpenType fonts. 11. Improves reliability with some Bluetooth braille displays. 12. Resolves a VoiceOver issue when browsing some websites with Safari 5. 13. Improves Bluetooth pairing with Magic Trackpad. 14. Resolves performance issues with third-party displays that use InstaPort technology. 15. Add SSL support for transferring files with iDisk. 16. Resolves an issue when opening 4-up Photo Booth pictures in Preview. 17. Addresses keyboard responsiveness issues in the Dock when Spaces is turned on. 18. Resolves an issue syncing Address Book with Google. 19. Fixes an issue when replying to a Mail message sent by a person whose name contains certain characters such as é or ü. 20. Improves performance for users bound to an Active Directory domain. 21. Improves reliability of Ethernet connections. 22. Systems with a Mac Pro RAID Card (Early 2009) installed can now be put to sleep. 23. Improves reliability of fibre channel connections, resolving a potential Xsan volume availability issue. 24. Adds RAW image compatibility for additional digital cameras.